The past two-and-a-half years has seen the former RAF base at Lyneham transformed into a new training facility for the Army’s Corps of Royal Electrical and Mechanical Engineers (REME) which is relocating here from Arborfield and Bordon. The move is in the early stages and is due to be completed in early 2016. In December 2013 the Ministry of Defence (MOD) awarded a £121 million contract for the first stage of work on the new facility at MOD Lyneham. The DIO is responsible for delivering the infrastructure for the programme. The contract for the work was awarded to Hercules – a joint venture between Kier Group and Balfour Beatty plc. The joint venture involved working with the Forces Career Transition Partnership which assists military personnel to secure permanent work on completion of their time in service and, Enterprise Works, a Swindon-based organisation which supports individuals with a disability, specifically injured ex-services personnel, to secure employment. Last week saw the official handover of key buildings and infrastructure from Hercules to the DIO. As Project Manager for this programme I was really proud to be part of a day that marked the conclusion of a big part of what has been an extremely successful project. 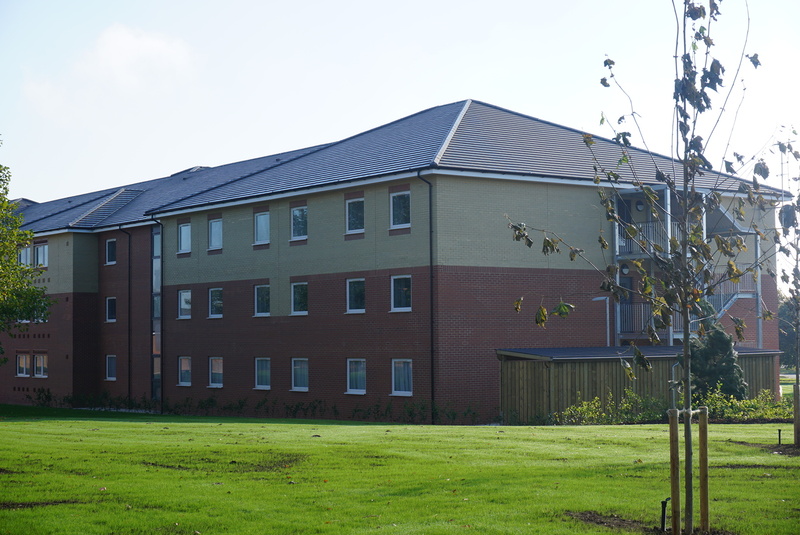 Hercules has delivered new single-living accommodation for military trainees, purpose-built enhanced training facilities including a large outdoor training area, alongside a medical dental centre, gymnasium and Officers’ Mess and museum. As we were altering an existing site we also re-used many existing buildings as it was more sustainable than building new ones. The airfield area, with its runway, which will be used for outdoor training, is a good example of this. The new facilities will enable the REME to come together in one location. When it’s all finished, MOD Lyneham will be a fantastic place to train our military personnel. We’re all proud of the contribution we’re making to the Armed Forces – DIO’s purpose is to support the Armed Forces by providing what they need to live, work and train and this project ticks all three.